Summer is finally over, and we’re enjoying some cooler weather (for a change!) Here’s the perfect Zoku recipe for a fall day. In a medium bowl, whisk together the apple cider, caramel syrup, and yogurt until thoroughly combined and smooth. 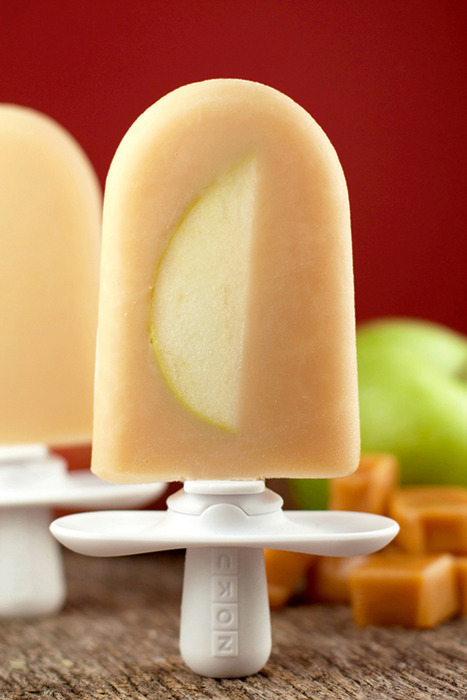 Using the Zoku Fruit Wand, apply the apple slices to the walls of the pop maker molds. Insert sticks and pour the caramel apple base until you reach the fill line. Let freeze completely, then remove the pops with the Super Tool. Repeat with remaining pops.